Interesting. 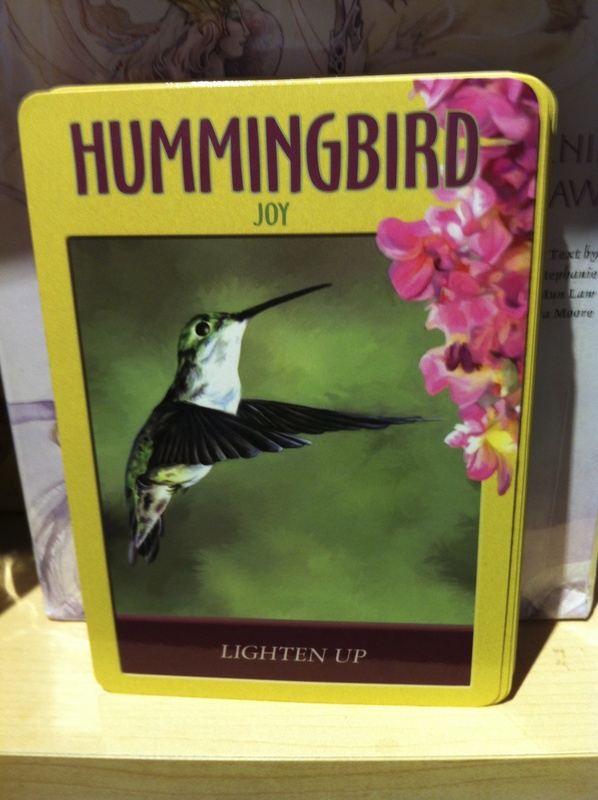 I actually consider the hummingbird my spirit animal. (Though I know nothing about how an animal becomes a spirit animal. Are there certain animals from which to choose? Is it a choice at all?) There is an Anna’s Hummingbird, which is pretty exciting, and I love watching them drum out their rhythms, so graceful and so intense. I thought of this blog when I read the part about lightening up. It’s been a serious place lately, I know; I’ve seen it too. That’ll change in time, but it’s a reflective period in my life, and I’m glad you’re sticking with me through it. I actually had a post planned for today about August itself, the word that – as an adjective – is defined as having an impressive or formal quality. I thought I was going to write about how we stand upon the cusp of this august August, the dawn of the month mere hours away. For this impressive, formal month, I thought I would say: I’m thinking of you and the tasks ahead for each of us, whether that is new adventure, new work, new play. It’s a notable month for many. But then the Hummingbird spoke to me from the deck, and I thought I’d take a break from pontificating, though it sure looks right now like I’m failing. So without further ado – and, as aside: is there a lesser ado? a greater ado? a closer ado? – I’d like to share some things I think about that have nothing to do with anything, except that they are part of my spirit-animal mind. 1. Google takes the fun out of all sorts of things. Sometimes it drives me batty to have a well-meaning friend search for an answer that I don’t really want. (Other times, of course, I’m the one whipping out my phone.) My current favorite wondering is how puppies get their nutrients while in utero. They don’t have belly buttons; ergo, umbilical cords are not part of this design. Rather than squash the mystery by doing any research on the subject, I picture a system in which the puppies dangle in individual sacs from a little rack where all nutrition is equally divided and simultaneously delivered. 3. Belly button is a really weird name for anything on our bodies. It’s so accepted, like saying “Kleenex” instead of “facial tissue.” No one says “facial tissue.” Belly button: the brand name of navel. 4. Have you ever said your name over and over and over and over? Almost any name starts to sound really strange, like a foreign word just wandering onto our native tongues for the first visit. Anna. Anna. AnNA. ANNA. ANNa. ANNAANNANANNANNA. 5. I really, really like that my first name works so well with the “Anna Anna Fo-Fanna” song, and that it’s a palindrome. 6. Nicaragua. Galapagos. Rome. Maine. Jasper National Park. Queensland. India. Vietnam. Brazil. Cuba. Tanzania. Sweden. Turkey. I want to go to all of there. 8. Now I’m thinking about “Rock With You” by Michael Jackson, to which I always have to dance, regardless of the situation: in public or waiting for a bus or driving in my car, it doesn’t matter. Such a great song. 9. …and now I’m singing it in my head. 11. Speaking of, when I was a kid, my best friend and I created a whole dance routine to “Smooth Criminal.” It involved cowboy hats. 13. Good phone interruption from the bike store telling me that my bike, recently injured in a crash, is ready for me to ride again. Nice. So, there you go: a pretty random, more lighthearted post. 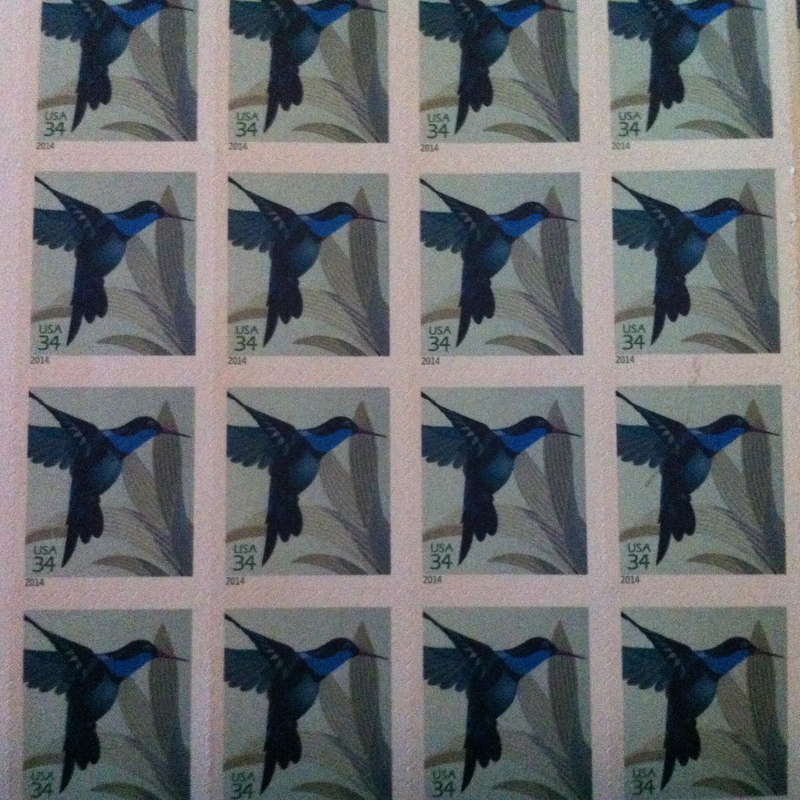 As an aside, or you can call this #15 if you are so inclined, I bought postcard stamps today. Guess what they had on them? Keep your eye on your mailboxes, folks; these aren’t just going to sit around here looking pretty. And there is something – well, dare I say it? – something quite august in that. pssst: #14? I know I didn’t finish the sentence. My experiment was to see if you completed it for yourself as you read it, as if it was a prompt on a survey you’d just received during a boring day at work when your boss was out of town. This entry was posted in Random thoughts. Tagged individuality, music, signs, spirit animal.